It was just a spontaneous trip to Baguio since we haven't been there this year. And it is, I believe, the best time to head up the city of pines to savor the holiday breeze. Thanks to TPLEX, the road to Baguio is never that long anymore. A quick stop before going back on the road and before we know it, the morning fog of Baguio is welcoming us with a smile. I've had a constant love affair with the city. The soul of Baguio has and will always be special to me. Needless to elaborate, this quick weekend getaway was just all about relaxation and non-stop eating. Here's a quick rundown of what you should be checking out when you are in the city of pines. Never miss the strawberry taho. There are a few vendors roaming around the tourist's spots so it won't be hard to find. The best taho, for me, is still the ones in the Pink Sister's Convent. Ketchup Community is a given option for foodies. The selection of different restaurants offering delectable menus will surely satisfy your cravings to pig out on a momol kind of weather. 50's Diner is a must. I am a firm believer of value for money when it comes to food. And with a decent taste, big serving, affordable price range and cool ambiance - the Diner is a must for me when in Baguio. Baguio Craft Brewery is a good find for us. The strawberry brew is another must try. The beer is a little pricey; but nevertheless, the vibe of the entire place is unbelievably awesome. The live band playing blues on the roof top gives you a welcoming ambiance while the entire participating audience gives it a community party vibe. Pink Sister's Convent gives you a slowdown from the busy itinerary while you take time to pray and be thankful for everything life has given you. Love the city traffic. Back to the chaos of the city, enjoy the traffic while listening to the raspy old music on the radio. Something about Baguio that makes me wanna listen to old retro songs like Bee Gees and VST & Co. The walk around can also be a perfection; especially in the morning. The cool breeze is what makes everything so special. You just gotta love the chaos and soul of the city. Find the answer at the Secret Garden. A perfect chill place to go to, the cafe offers a selection of delicious meals and coffee. Kaffeeklatsch is just simply a staple place to go to. I have always enjoyed relaxing while sipping coffee or drinking beer over a live acoustic band. The ambiance is everything. North Haven Spa never misses to take me to heaven. My personal favorite is their 2.5 hours combination massage. Pearl Meat Shop and Restaurant along Carino Street is one of the best meals we had. The overall experience of grilling your food and wrapping it up with fresh veggies is awesome. Get ready to pig out and feel good. 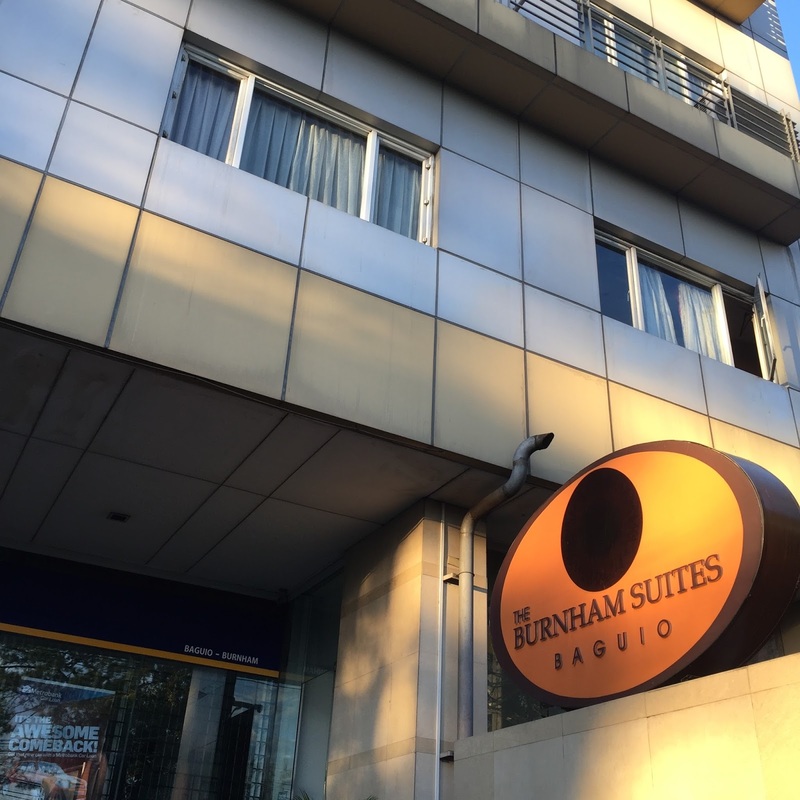 It is our first time to try Burnham Suites, as suggested by a friend; and I must say it is a good recommendation. They offer low rates but fabulous rooms; and the best part is it is just right along Kisad Road overlooking the entire Burnham park. Baguio Market is, of course, where you can find almost all the things you wanna bring back home. From the famous Baguio walis, delicacies, Sagada oranges, fresh veggies and coffee blends; you'll go gaga shopping for more. Arca's Yard is the best find we have for this trip. It is a little challenge going there but the restaurant is worth it. The vibe of the old house converted into a restaurant/museum/library gives you the feel of Baguio at its best. The artsy experience is what makes it more fabulous. Not to mention, the delicious and affordable food they offer that's just what makes it a must try whenever in Baguio. amazing pictures. those spontaneous trips are the best trips!! !